Glorious Goodwood with the most picturesque backdrop in racing kicks off with the highlight of the first day being the Group 2 Lennox Stakes over 7 furlongs. It’s attracted a field of twelve headed by Aljamaaheer the recent winner of the Summer Mile at Ascot. He provides a decent benchmark having run third to Farhh in the Lockinge and second to Declaration Of War in the Queen Anne, both Group 1 events over a mile. 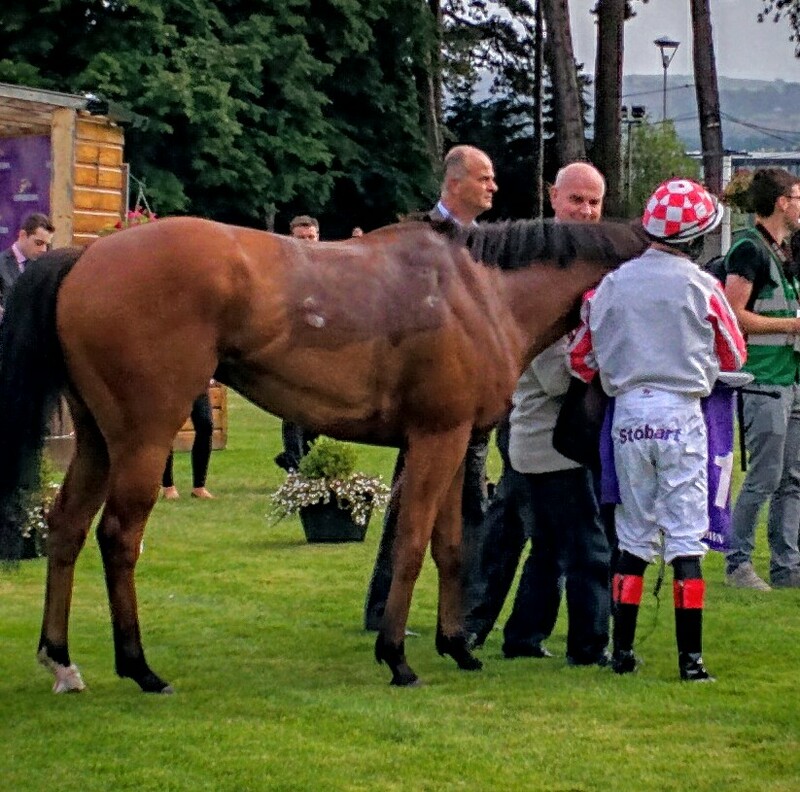 Producer, the choice of Richard Hughes is one of three from the Richard Hannon yard. He has the scalp of Aljamaaheer over 7 f in April at Listed level and last time out at Group 3 level in the Criterion Stakes at Newmarket he stepped up further to beat Red Jazz 3/4 L.
Of the other Hannon runners Libranno hasn’t shown the form this year that saw him win three times at Group 2 level. His last win over this distance was in the Park Stakes last September while Professor the third Hannon runner has won four of the last five, the last two at Listed level. Ryan Moore gets the leg up on Garswood from Richard Fahey. He didn’t make an impression in the Guineas when beaten 9 1/2 L by Dawn Approach but did better when fourth to Gale Force Ten in the Group 3 Jersey Stakes. John Gosden’s Fencing has been somewhat of a disappointment . Tried at top level on at least four occasions (never up to it) he has only ever won at Listed level. Casper Netscher, a triple Group 2 winner, makes his seasonal racecourse apperance for David Simmcock. 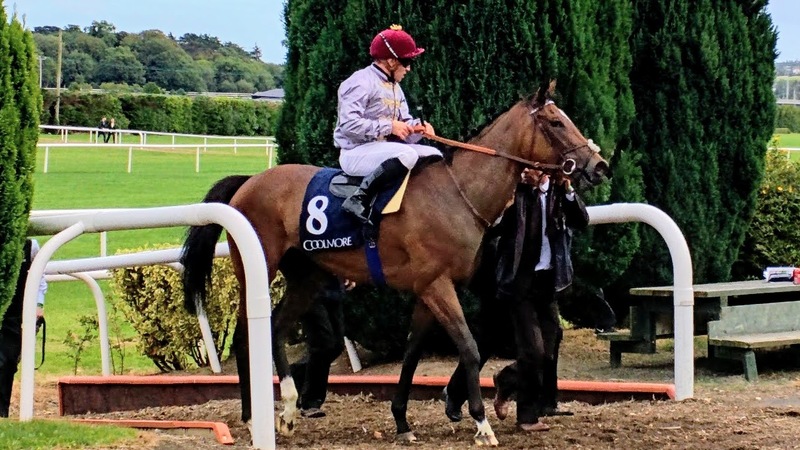 He ran an absolute cracker last year in the Prix Jacques Le Marois when running fifth to Excelbration going down only 2 L. Cityscape, Elusive Kate and Moonlight Cloud also finished in front of him. All of them proven Group 1 winners. 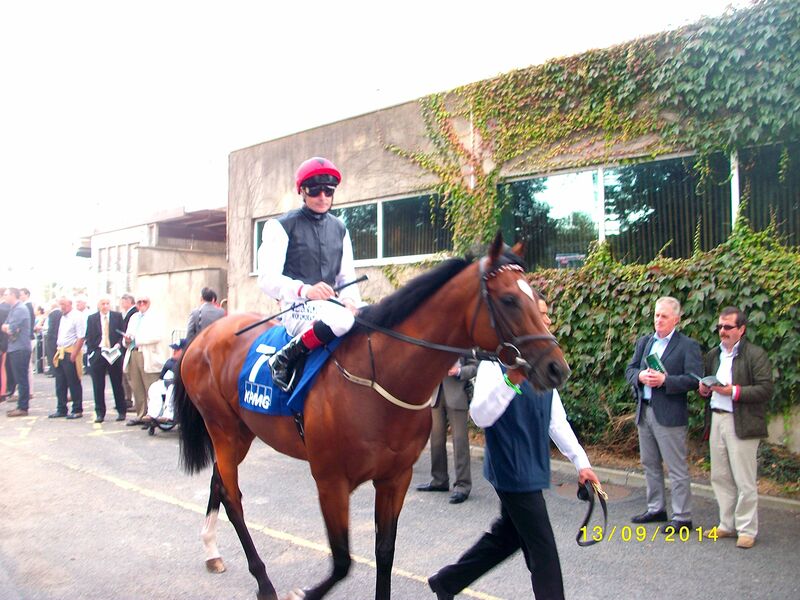 He is also a winner first time out as a two year old and three year old. Krypton Factor is by far the biggest money winner here having banked over £1.2m already but this 7 f will surely test his stamina to the limit. 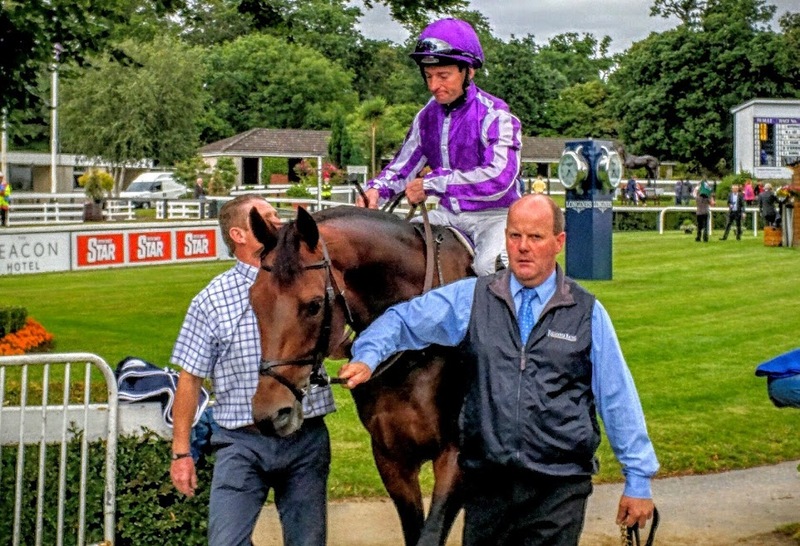 Having broken the gate in the July Cup forcing his withdrawal, he was then below par the following week when dropping in class in the Hackwood Stakes over 6 f when third to Heeraat. It’s hard to make a case for Boom And Bust as he’s only ever won at a mile while Pastoural Player has 12 1/2 L to make up with Aljamaaheer on Summer Mile running. Joint top rated on official ratings on a mark of 116 are Aljamaaheer and Casper Netscher. The former is 5/2 while the latter is 10/1. 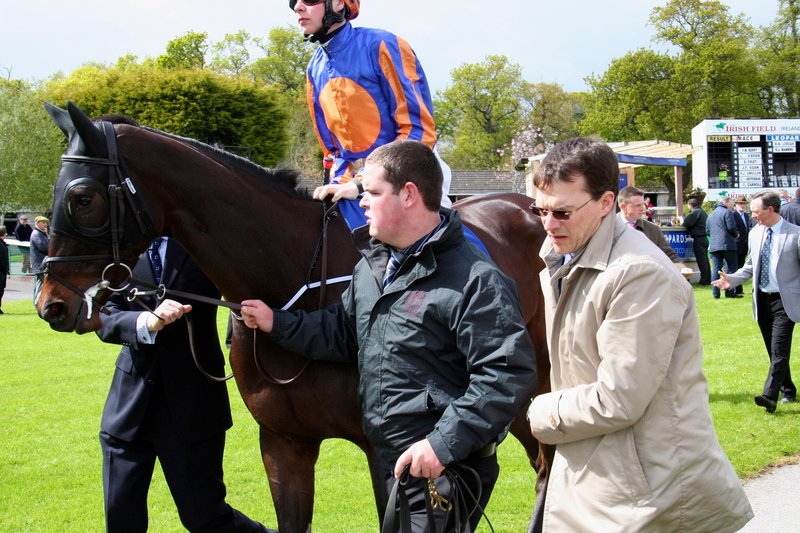 A reproduction of the Deauville form would put the Dutch master on top. The best race meeting in the world get’s off to a lightning start with the American star Animal Kingdom turning out for the Queen Anne. A Kentucky Derby winner on dirt and Dubai World Cup winner on tapeta he returns to turf, a surface has won on before in a minor race at Gulfstream Park in 2012. There’s been some chatter that Ascot’s turf will inconvenience him today but in The Breeder’s Cup Mile last Autumn coming back from injury he ran a cracking second to Wise Dan. Caught in a pocket on the rail when he eventually got out he flew with the line coming in time for Wise Dan. His prep for Dubai in February was also on turf in The Gulfstream Park Handicap where he put in another fine effort behind Point Of Entry when beaten 1 1/4 L. The two times he tried turf at top level he’s been beaten but at the expense of the two best turf horses we’ve seen in North America in a long time. While Declaration Of War has yet to live up to the reputation he arrived with in Ireland from France he still the most likely to chase Graham Motion’s charge home. This has certainly been lit up by the return of Dawn Approach. Beaten by the tactic’s in the first furlong of the Derby where pace was shut down he tried to go from first to fourth without going into second or third. There will be no such fears today. The team know he’s awesome and today he’ll confirm same. Leitir Mor will ensure it”ll be quick from the get go and when he run’s out of petrol Kevin Manning who will have brought Dawn Approach through the gear’s will open the throttle. 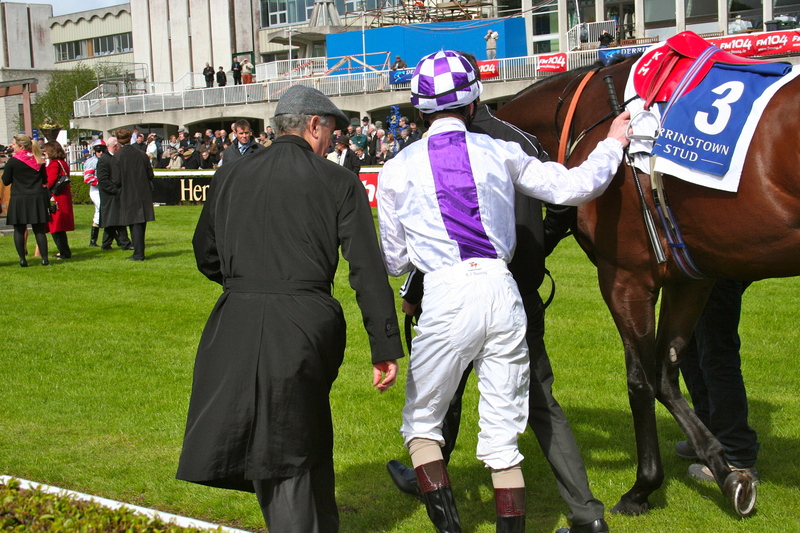 Ballydoyle’s Magician after a classy Irish Guineas can chase him home. The Big Question : Will he stay? We’re no pedigree experts but a brief look through the pedigree on the dam’s side doesn’t say no, it screams it.Dawn Apporach is a fourth foal out of Hymn Of The Dawn. None of the other three ran beyond a mile. 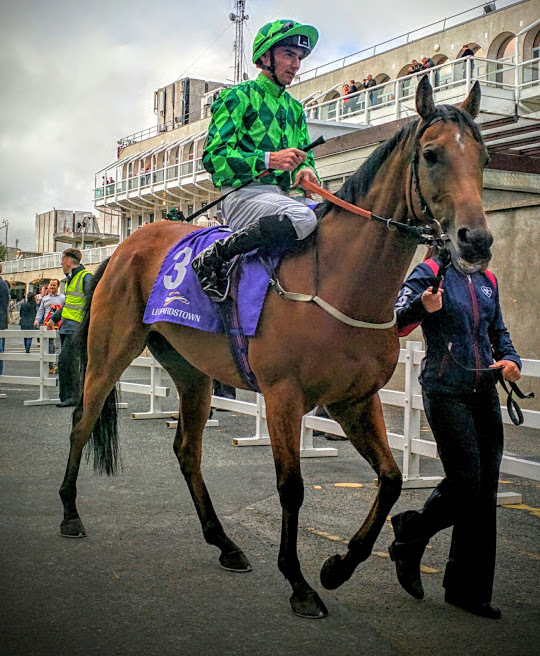 The mare is by Phone Trick described in the Racing Post as a high-class US sprinter, progeny often precocious, generally speedy and sometimes top class at 2. 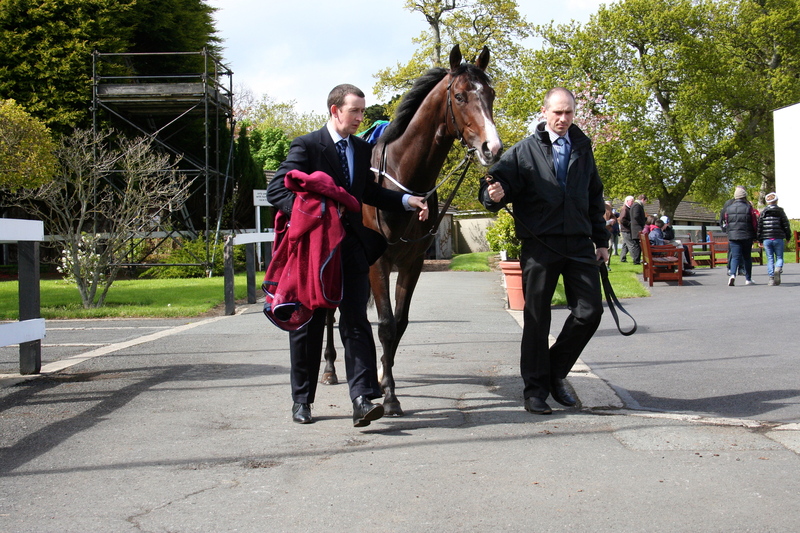 We know after the Guineas Dawn Approach is high class at 3 also. He’s in that sense already defied his bloodline. To win the Derby he’ll have to scream freak. He won’t be just high class he’ll be way beyond. There will be only one word. Brilliant. Question : Is he capable of it ? He’s very unlike his father, New Approach. He was always on his toes, on the verge of boil over needing a lead pony in all his races to get through the preliminary’s. Dawn Approach is a completely different animal, relaxed, easy, asleep. His racing style is lazy, the minimum of effort giving you the impression there’s buckets in the tank. He finished the Guineas looking like he could stay the Gold distance of two miles never mind the mile and a half he faces here. Yes he’s capable it. Question : Can the opposition beat him? There’s five sons of Galileo here to take him on. 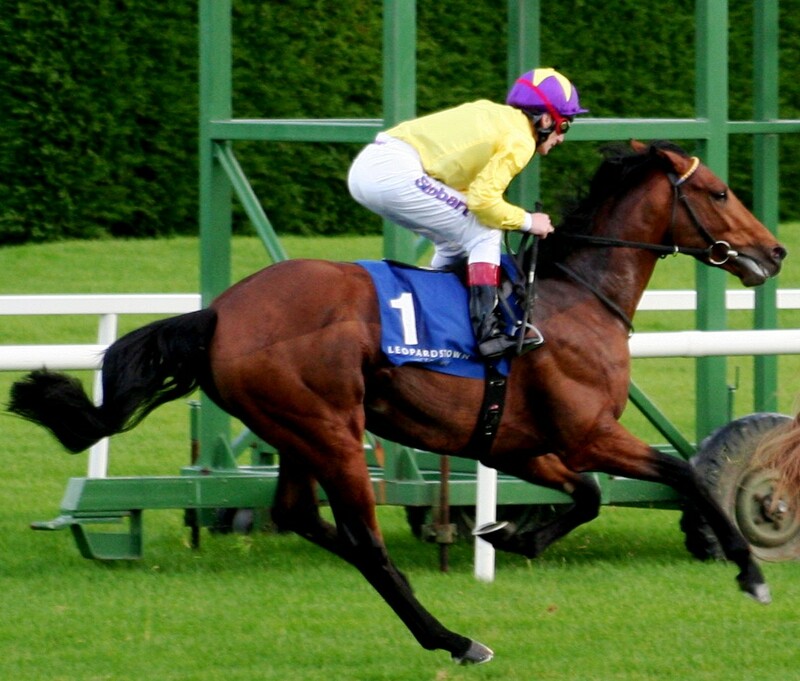 That five stamina stretchers plus the another son of New Approach, a son of Monsun and a son of Sir Percy. The best of the Galileo’s is Battle Of Morengo. He’s unbeaten in five and has done all asked of him. Workmanlike is the phrase associated with him but’s that’s unfair. 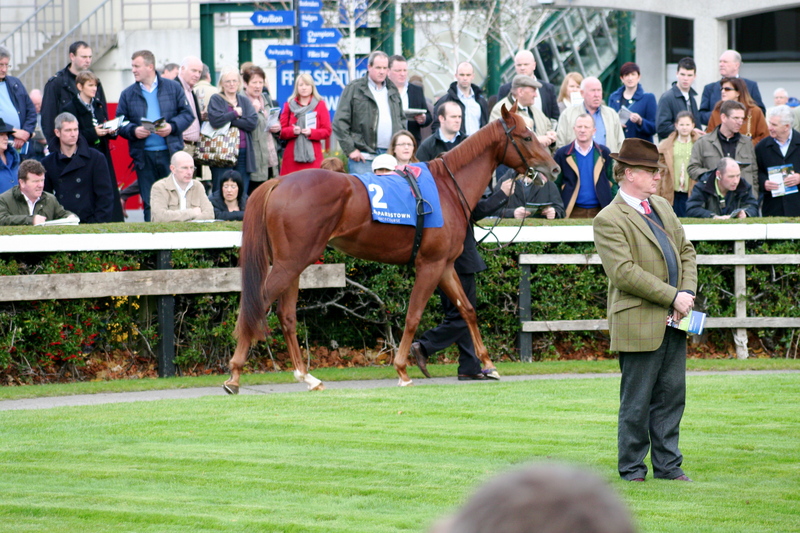 He beat a Group 1 winner in Loch Garman in the Derrinstown fair and square. Of the other O’Brein colts Mars makes appeal. 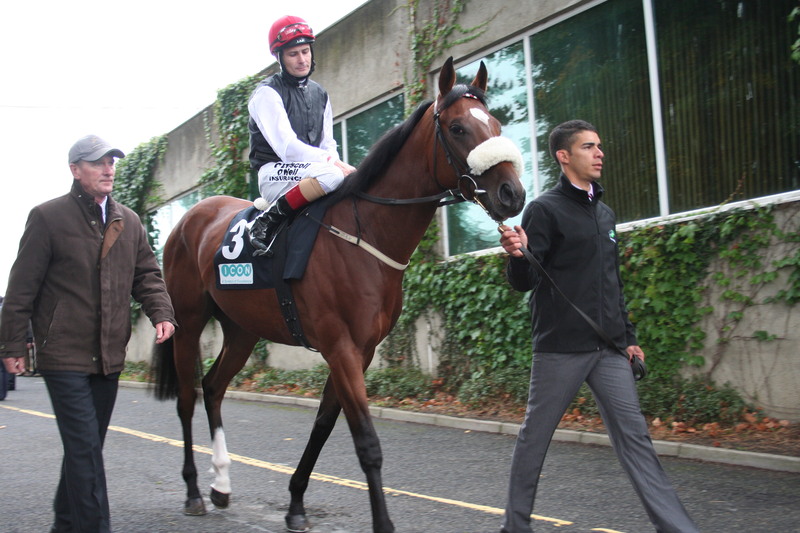 His racecourse debut was visually appealing and it’s unlikely he was suited by the distance of the Guineas. We’ll see a much more exciting animal here. The German challenger can’t be discounted after Danedream and Pastorius have shown the quality coming out of their breeding sheds in the last couple of years. He beat Global Bang 8 L in his prep and he went on next to take second in the German Guineas. That’s good form. Andre Fabre isn’t making the same noises about Ocovago as he did in the build up to to Pour Moi’s success two years ago but he’s unbeaten and was an impressive winner of the Prix Greffulhe. Conclusion : If he stay’s he wins. We’ll witness a better horse than Frankel or Sea The Stars. The issue is, at the price, is he worth taking him on. The answer has to be yes. There’s propers stayers in here and in Battle Of Morengo their’s certainly value for an each way punt. 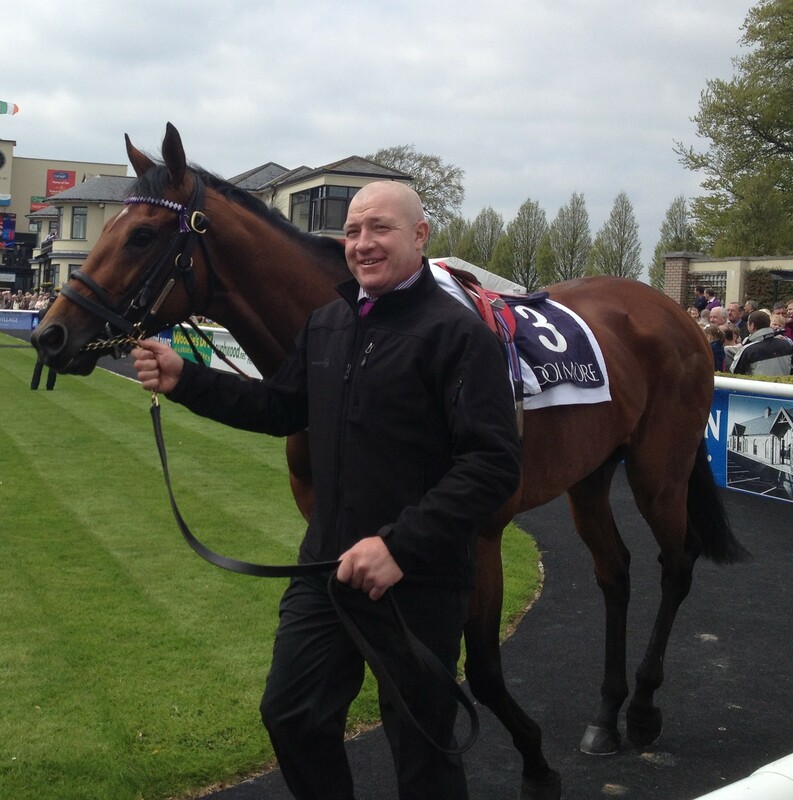 Ten line up for the Irish Guineas. 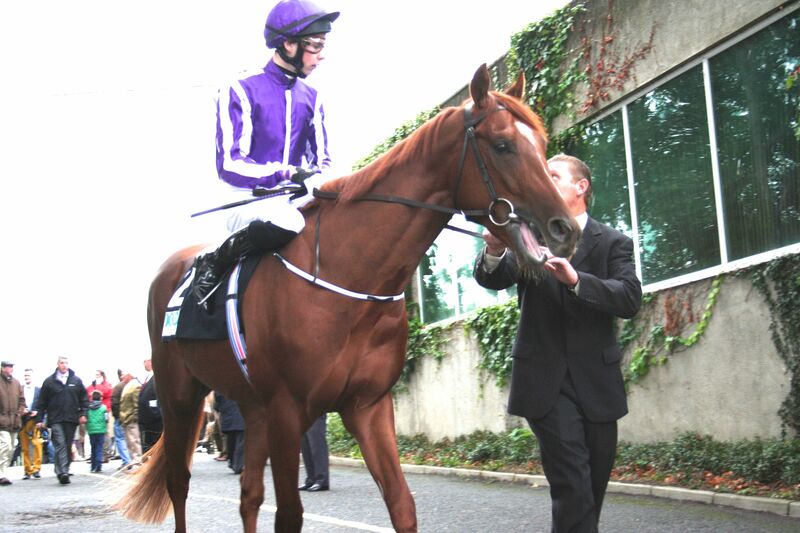 No Dawn Approach no superstar for the Irish crowd to admire. The form though is represented by Van Dee Neer third at Newmarket 7 1/4 L behind Jim Bolger’s colt. Richard Hughes is making all the right noises about this fella saying he’ll come on from Newmarket and in truth he sets the benchmark here. 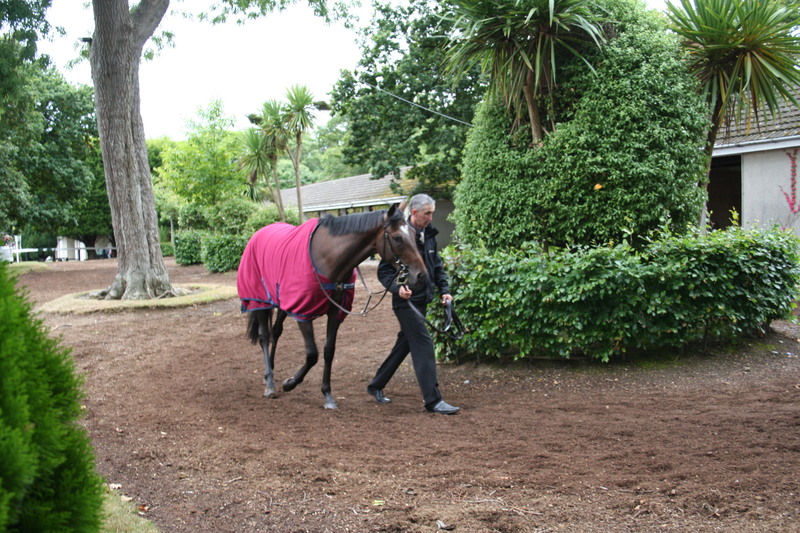 He is joined by stable companion Havana Gold who ran second to Toronado in the Craven and then went to Lonchamp to run fifth in a blanket finish in the French equivalent going down 3/4 L.
A place in front of him that day was Gale Force Ten who on jockey bookings looks to be the Ballydoyle second string. 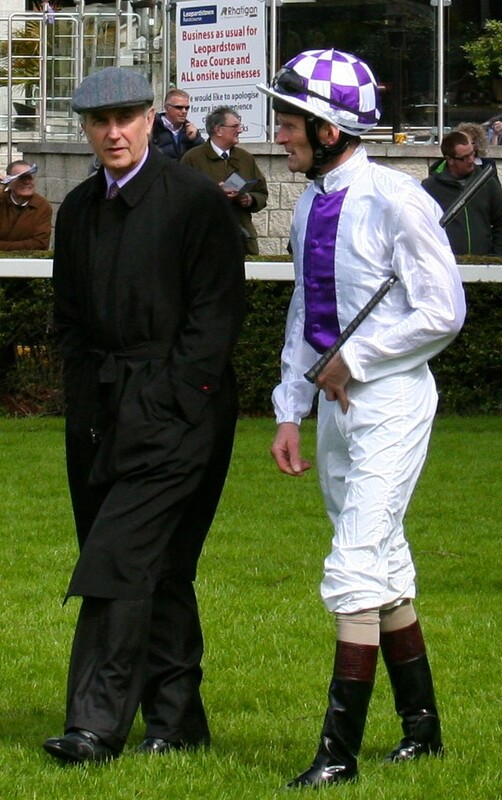 The main act of the Aidan O’Brien quartet is Magician on the back of the impressive Dee Stakes victory where he had 4 L to spare over Contributer who was then turned over in a match at Goodwood. The manner of the win justifies favouritism but the step back in trip from 10 f to a mile is a concern as is the reliability of the form. 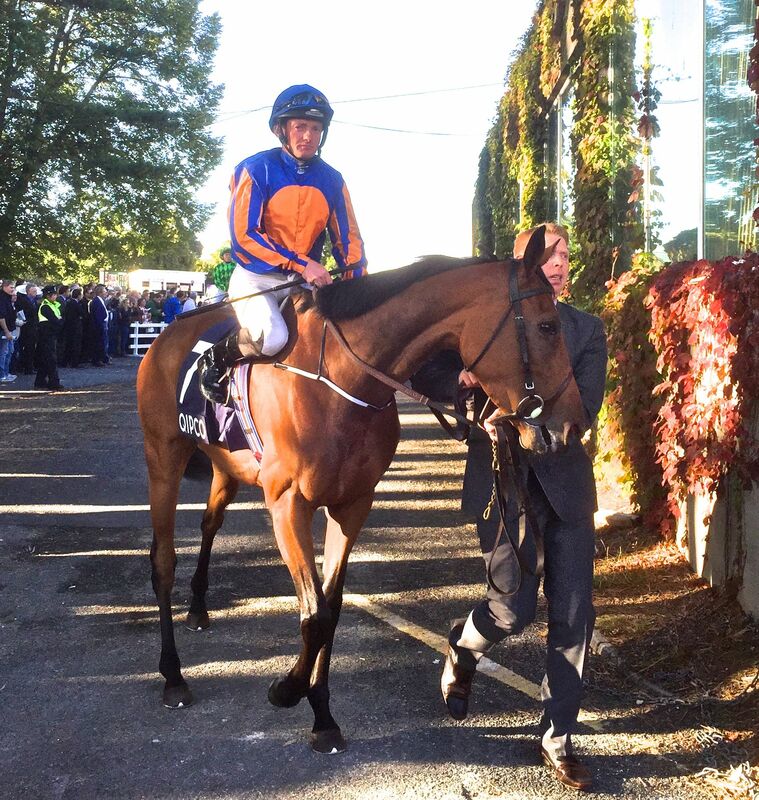 The third string of O’Brein is George Vancouver whose run in the Guineas was a long way short of his juvenile form. As a two year old he was only 3 1/4 L behind Dawn Approach in the Dewhurst and then won the Breeders Cup Juvenile Turf at Santa Anita. Flying The Flag who couldn’t land a blow at Lonchamp but did run second in the Futurity to First Cornerstone on heavy last year makes up the team. Another stepping down in trip is Trading Leather who plugged on in the Dante to take second behind the 33/1 shot shocker Libertarian. 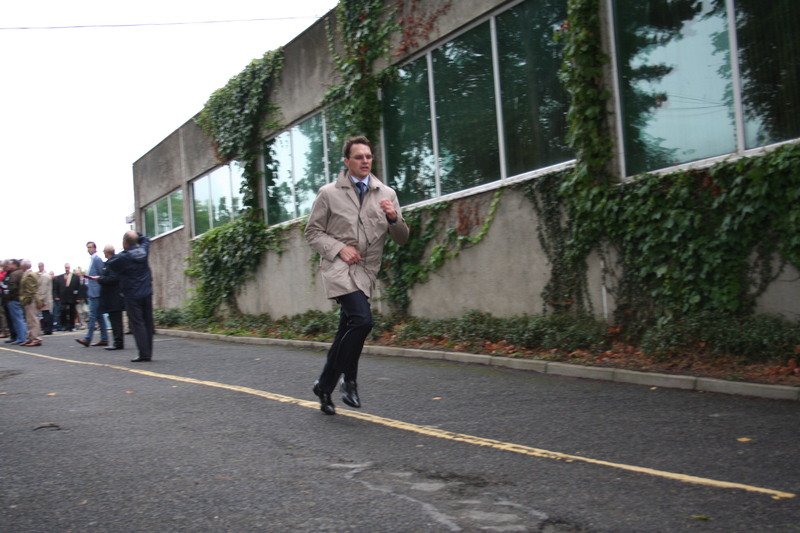 First time officially in the trainers column is the name JP Murtagh. 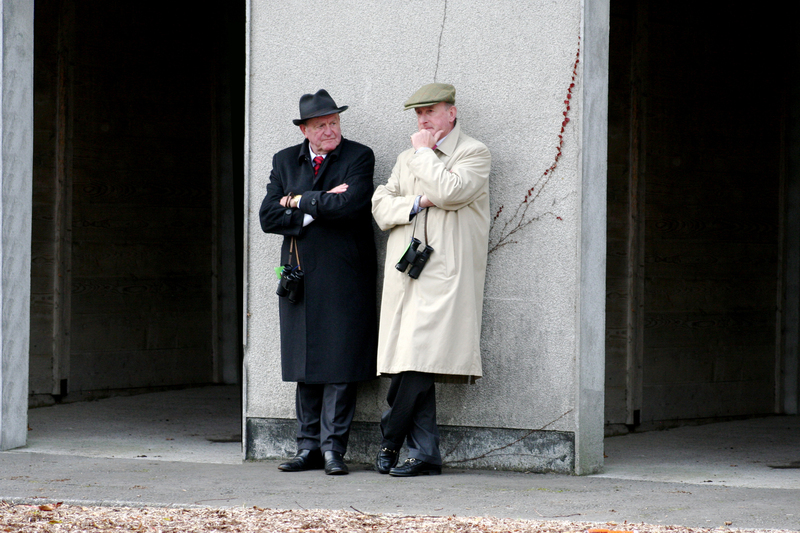 Responsible for two in the race Ask Dad was supplemented at a cost of €30,000. 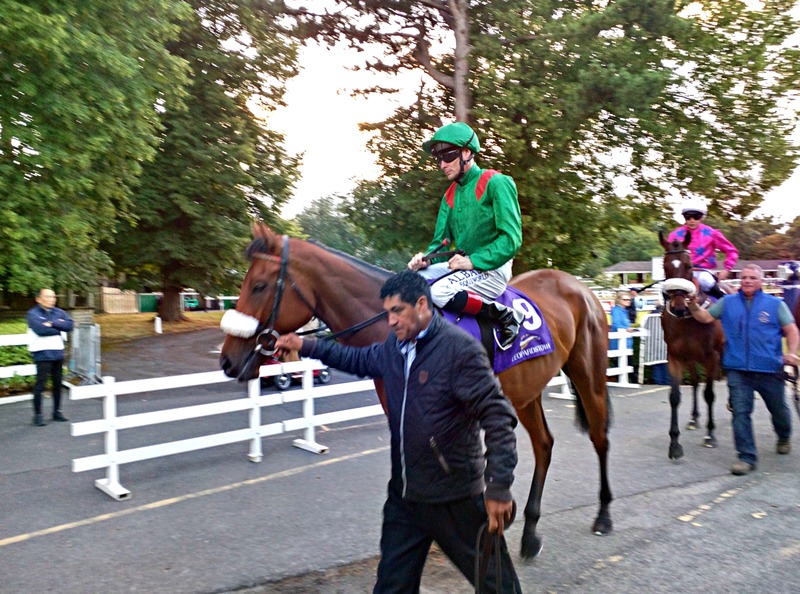 He would appear to be here on pacemaking duty which was possibly part of the deal involving the one Johnny rides, Sheik Mohammad’s newly acquired Fort Knox the winner of the Guineas trial at Leopardstown. Run on bad ground he showed his superiority over an ordinary field and if he can handle this better ground he could give the dream start to Johnny’s already burgeoning training career. 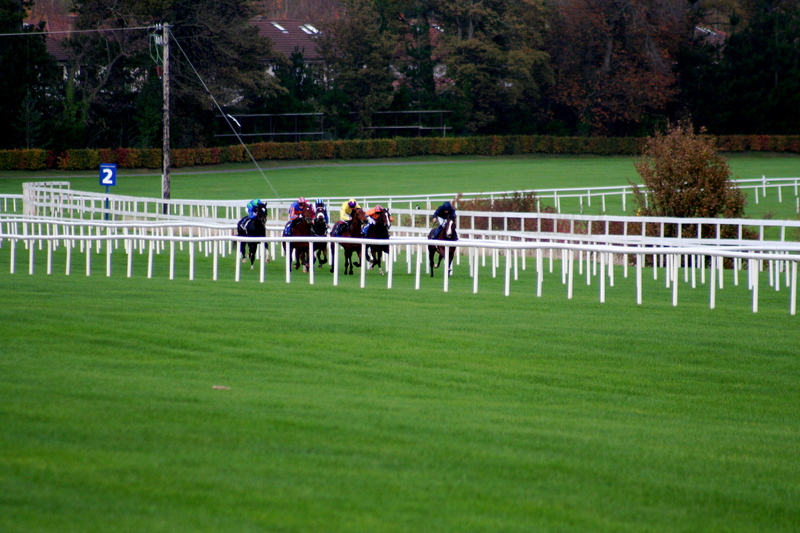 It’s an open Guineas and the sun is shining over the Curragh with the ground riding good to firm. These are the conditions which in 2008 saw Henrythenavigator demolish New Approach. His son George Vancouver thrived in similar conditions at Santa Anita and if your willing to forgive the Newmarket run then he’s the one who can emulate his father.